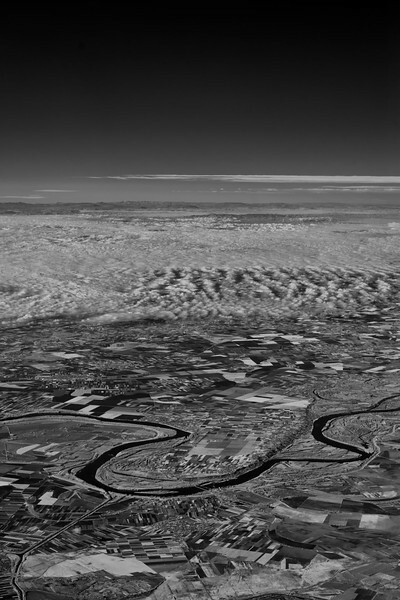 A shot of the Hungary countryside ( about 85 miles SSW of Budapest) shot from 30,000 ft. In visible light, there was considerable haze. The mountains on the horizon were completely unseen in visible light.